Learning to taste and dissect the good, the bad and the greatest of beers is a rite of passage for brewers and beer connoisseurs alike. But sometimes you just want a beer. Join Dr. Nicole Garneau in this humor-filled talk where we’ll cover the tasting techniques for any situations. You’ll walk away knowing how to taste like a scientist, savor like an artist, and kick back without judgement. Dr. Nicole Garneau is a taste scientist and keynote speaker who brings flavor science to the table. 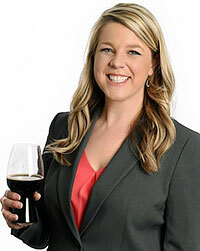 Her formal training in genetics and microbiology led her to the Denver Museum of Nature & Science where she directs the Genetics of Taste Lab and leads beer pairing research through the crowdtasting model pioneered by the Beer & Food Working Group. In addition to her day job, she is the founder of three companies related to her work studying taste and her interest in food and beverage science. In this capacity, Dr. Garneau serves as keynote speaker and consultant to breweries, wineries, distilleries, food companies, and restaurants. She is the co-author of the Beer Flavor Map and co-founder of the company DraughtLab. Ancient Nordic Beer Styles: Scandinavia is rich with some of the world’s oldest brewing traditions. This panel will discuss the traditional processes and brewing data learned on site for Sahti in Finland, Stjørdasøl in Norway and Faddersøl in Denmark. Authentic examples of these unique styles will be presented for tasting via collaboration brews with panelists. 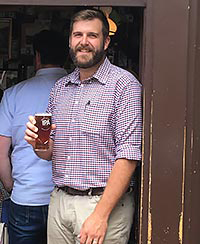 Josh Cody is a founder and owner of Colorado Malting Company, the nation’s oldest craft malting company and is Owner/Head Brewer at The Colorado Farm Brewery. He has traveled throughout Scandinavia and brewed ancient styles with multigenerational native brewers. Josh holds a BA from ASU and a MS from Concordia University. He is also an international beer judge and guest lecturer in brewing and malting at universities and events all over the world. Jan is a California-born, New York-bred brewer who currently runs all brewing operations at Our Mutual Friend Brewing in Denver, Colorado. 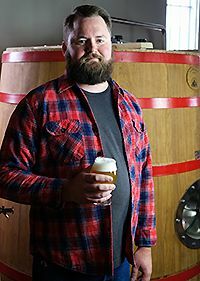 The brewery itself produces a wide range of styles, though Jan gravitates towards wild and mixed culture, having garnered recognition nationally and internationally for his Saison Trystero, and nationally for 24 Frames Per Second, a barrel aged sour ale. 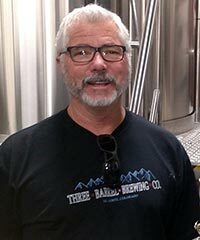 Though he is a self-taught brewer, Jan attributes much of his growth to the friendships and relationships he has forged with kindred brewers worldwide. John A. Bricker is a Colorado Native, entrepreneur, brewer and founder of the successful Three Barrel Brewing Co. in the San Luis Valley-Del Norte, CO.
From the beginning he has collaborated with Joshua and Jason Cody at Colorado Malting brewing experimental, ancient and new ales using: aspen leaves, cottonwood smoked malts and smoked blackberries, organic apples, our “Spontane” yeast, Colorado beet sugars, local honey, juniper and spruce, cedar, CMC Scottish Rye and hemp. We are scratching the surface. We have been coming to this great event [Big Beers Festival] since 2005, and we are here to learn and taste. I came from a passion of homebrewing and the Homebrew competition is one of finest. We are honored to be in Breck to bring some Belgian ales and other ancient beers along with some knowledge of our business of brewing, making and selling craft beer and craft food. Photo and bio to come.